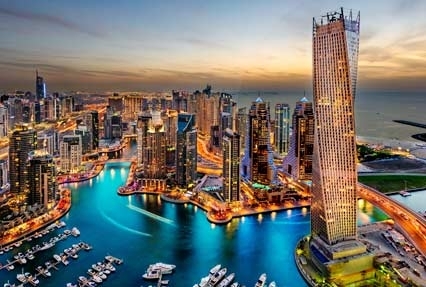 One of the most popular destinations in the world, the bustling Dubai city has several charms. The Delightful Dubai Festival tour by Indian Holiday, offers the best of sights and sounds of Dubai. This itinerary of 4 nights and 5 days is an unforgettable journey through the land of man-made wonders, offering innumerable sights to explore and shop. The package has been especially crafted for indulging in the exciting sightseeing, absolutely amazing experiences, pleasures of shopping and fun in Dubai. On your arrival at the Dubai International Airport get a warm welcome and assistance with transfer to Dubai Hotel. Check in and relax for the day. Later in the evening, proceed to enjoy the Dhow Dinner cruise. Dhows are wooden liners that sail on the famous Dubai Creek and offer a charming sightseeing experience. It offers a unique view of the amazing city. Aboard the cruise enjoy the scenic sights of the glittering city and savor a variety of Arabic Cuisine. The experience is one of the best in Dubai. After a delicious breakfast at the hotel, get ready for the day's activities. Later, you will be picked up from your hotel to proceed on a half-day city tour with English speaking guide. Explore the charming historic sites as well as charms of the vibrant cosmopolitan life of Dubai. 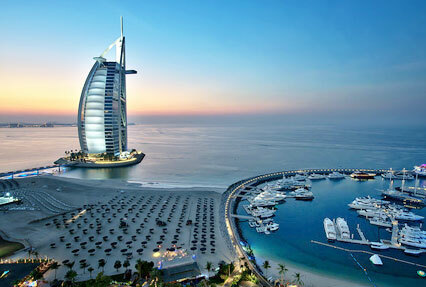 The sightseeing tour begins with a photo-shop at the famous landmark of Dubai, Burj Al Arab. The ship-sail shaped building is an icon of the megapolis. Next, proceed to Jumeirah. 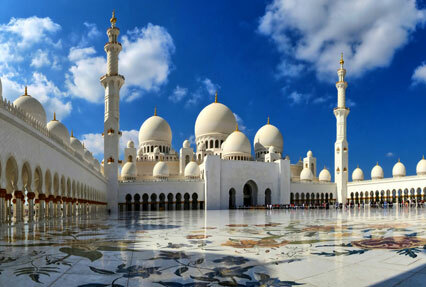 Here explore the picturesque palace and residential area of Dubai along with the famous Jumeirah Mosque. While on tour, pass by the Sheikh Saeed House, the former residence of the ruling royal family of Dubai. Sightseeing continues to Al Bastakiya, the old part of Dubai. Here, also visit the museum located in Al Fahidi Fort. Next, proceed to the fruit and vegetable markets, known as souks to savor the sights and sounds. 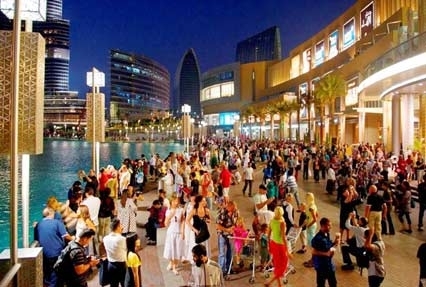 Later, move on to one of the most famous attractions of Dubai - the gold souk. Marvel at the ostentatious riches. After the tour, the day is free for your own activities. You can opt to relax in the hotel or proceed on your own as one of the popular shopping malls, the city is so well-known for. Get back to the hotel for overnight stay in Dubai. Start the day with a leisurely breakfast at the hotel. Enjoy the hotel facilities or you can pursue activities of your interest. Later in the day, you will get pick up from your hotel to proceed for a safari in the desert with a BBQ dinner & Belly Dance program. Leave in the afternoon for the charming Arabian Desert. On the way enjoy the several photo-stops. Proceed for dune bashing. Also, pay a visit to the camel farm. Enjoy the beautiful sunset in the desert. Later, reach the campsite set amid the beautiful desert. Here enjoy the wonderful opportunity to do camel riding, sand boarding and also try out a henna design on hands or feet. The thrilling activities will help you work up an appetite. To quench the hunger, you can treat your taste buds to enjoy a delicious barbecue dinner and shisha (the famous Arabic water pipe). The entertainment of the evening is belly dancing performing shows around the campfire in company of starlight. After the excitements of the day, get back to the hotel for overnight stay. With a delightful breakfast in the hotel begin your day. Later proceed for a sightseeing tour to the Burj Khalifa, world's tallest tower. Get to the observation deck to enjoy the picturesque view of Dubai. Next, pay a visit to the largest suspended aquarium in the world, the 10-million litre Dubai aquarium tank. Occupying the ground level of the Dubai Mall, the gigantic aquarium of 51 meters in the length, 20meters width and 11 meters height, is a world of its own. It is a habitat of thousands of aquatic animals, comprising over 140 species. In this tank there are more than 300 sharks and rays, including the largest collection of the sand tiger sharks in the world. Marvel at the exquisite collection. The delightful Dubai tour ends today. Enjoy a leisurely breakfast. Later in the afternoon check out of the day and opt for some last-minute shopping. In the evening, get assisted transfer to the airport to board your flight for home. This tax is to be paid by the GUESTS directly at the hotel before the end of the stay. 04 Nights’ accommodation at mention hotel. Desert safari with BBQ Dinner (Dune Bashing, Hina Painting, Tanoura Show & Belly Dance and more). 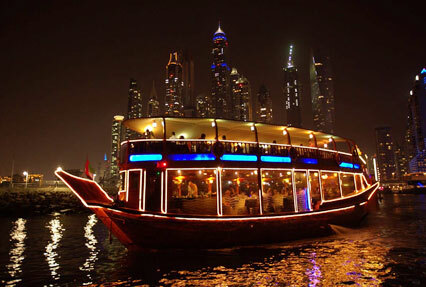 Marina Dhow Cruise with buffet dinner in Dubai. Half Day Dubai city tour with transfer. Burj Khalifa @124th Floor and Dubai Aquarium + Underwater Zoo. Return airport transfers in Dubai.